Thanks to the Free and Open Source Kicad Libs and some Open Source Eagle libs, EasyEDA now has 700,000+ components, which should be enough for most projects. Now you can enjoy using EasyEDA without having to spend so much time hunting for or building schematic symbols and PCB footprints. “Package” & “footprint” & “PCB Library” & “PCB Lib” & “PCBLib” & “Patten” are the same, they all be called as PCB library. 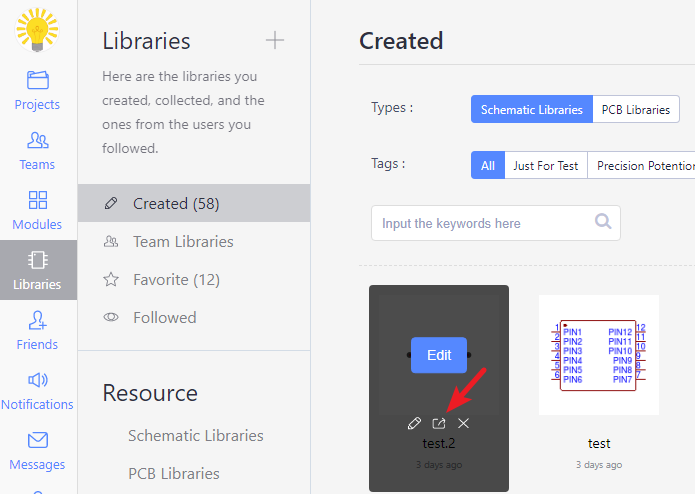 On the left hand Navigation panel you will find “EElib“ and “Libraries“, just type what components you want and search. 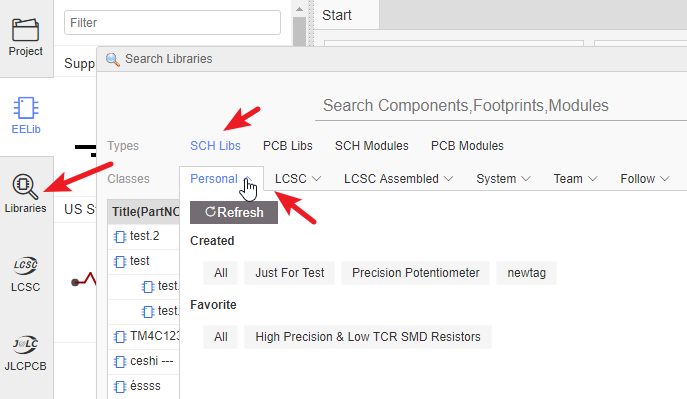 EasyEDA supports creating symbols by yourself, after created you can find out your components at Libraries > SCH Libs/PCB Libs > Personal, and it is easy to manage your libraries. If you want to transfer your libraries to the team, you can do that in “User Center > Libraries > Personal”. and you can produce professional quality SVG, .PNG or .PDF output files for your documents.